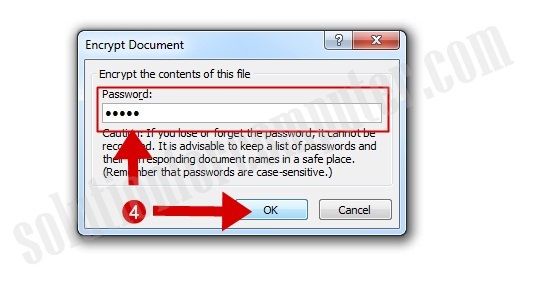 In Microsoft office you can use password to protect your documents from others. 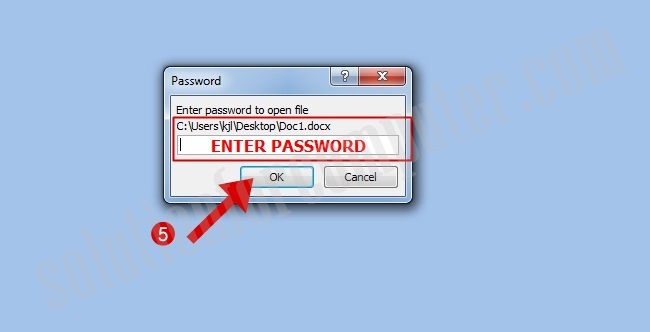 The Microsoft office password protection is a security feature to protect MS office document files. The 128-bit key AES protection provides in newer Office 2007 or higher version. You can add security on MS Office Word , Excel, PowerPoint, Access, Publisher and OneNote. 1. Open Microsoft office word and click on Microsoft office button/logo. 2. Click on prepare option. 3. 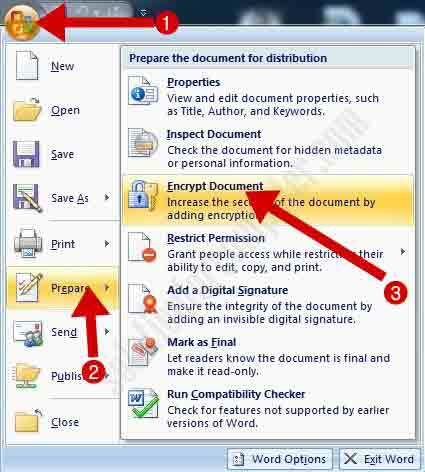 Select Encrypt Document option. 4. 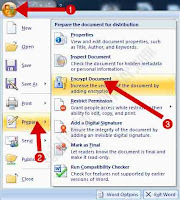 In encrypt document box enter Password and press OK button. After that it will ask you to conform password enter password again to Conform password and press OK button. Then save your file and close it. 5. Now open your password protected file. When you opend files it will ask you to enter password. Enter your Password and press OK to open your file. Note:- if you want remove password from file than repeat this same process and save file with blank password. I hope this Article is helps you to set password on Microsoft office Word, Excel, ans PowerPoint files. If this post is useful for you and you like this post please share this post with your friend on Facebook, twitter, Google plus and more. 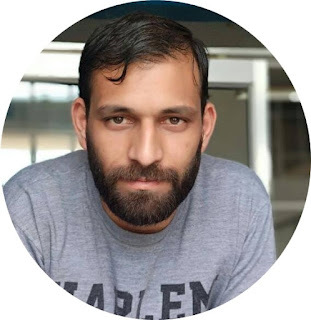 Please comment your experience about this post in comment box, and you also follow us by email and other social media.